Would you like to remove destructive wisdom teeth comfortably? Most of the third molars (wisdom teeth) are poorly accessible to flossing and brushing. If they are partially covered by gum tissue, gum disease and decay on the tooth is expected. 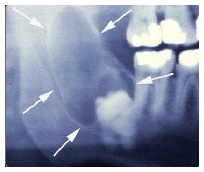 Completely impacted wisdom teeth are prone to developing cysts. Sometimes they push against their front tooth and start to damage them. In these cases removal of wisdom teeth are highly recommended.